The total population of Gordano is 3,421 people. 1,657 people are male, 1,764 are female. 2,033 of people are of working age. There are 1.1 people per hectare in Gordano ward, this is the joint lowest population density in North Somerset. 1.6% of people in North Somerset live in Gordano ward. 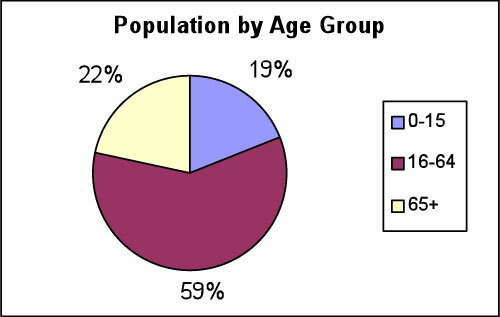 The population figures in this section are sourced from the 2009 Mid Year Population Estimates from the Office for National Statistics.